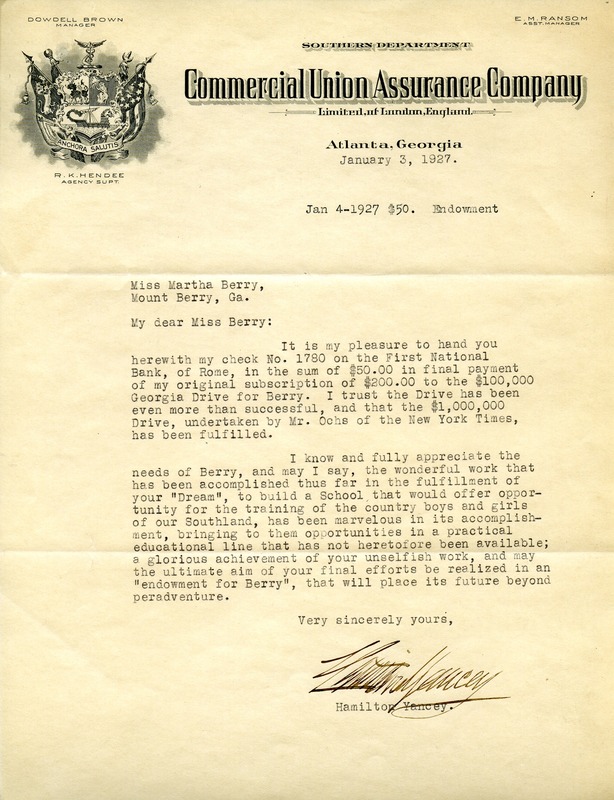 Hamilton writes to Martha with the final payment of the 200 dollar pledge that was made for the Georgia Drive for Berry. Hamilton Yancy, “Letter to Martha Berry from Hamilton Yancy.” Martha Berry Digital Archive. Eds. Schlitz, Stephanie A., Aaron Jackson, et al. Mount Berry: Berry College, 2012. accessed April 21, 2019, https://mbda.berry.edu/items/show/6246.